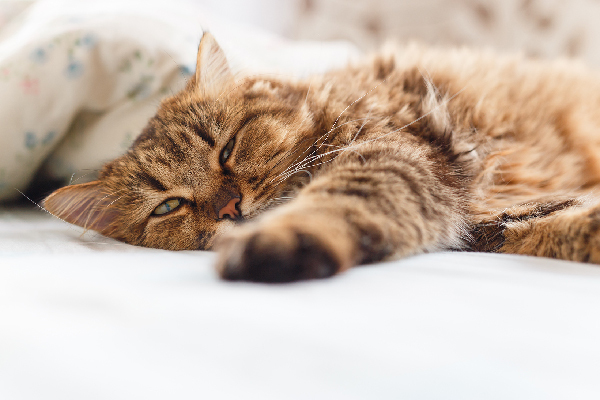 This affectionate, chatty, outgoing cat with Asian roots has its DNA in many of our favorite breeds. If there’s a breed even the most cat-clueless can recognize, it’s the Siamese. With its distinctive pointed colors and lean body, there’s no mistaking it for another breed. The Siamese is believed to be descended from the temple cats in ancient Thailand. Cat Book Poems, a manuscript written in Ayudha, the ancient capital of Siam — now known as Thailand — dating from 1350, describes a pale-coated cat with a black mask, tail, feet, and ears. 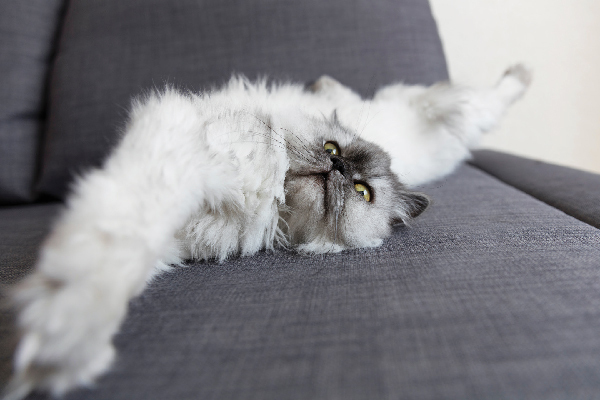 The breed made its first appearance in European cat shows at the 1871 Crystal Palace Cat Show in London. 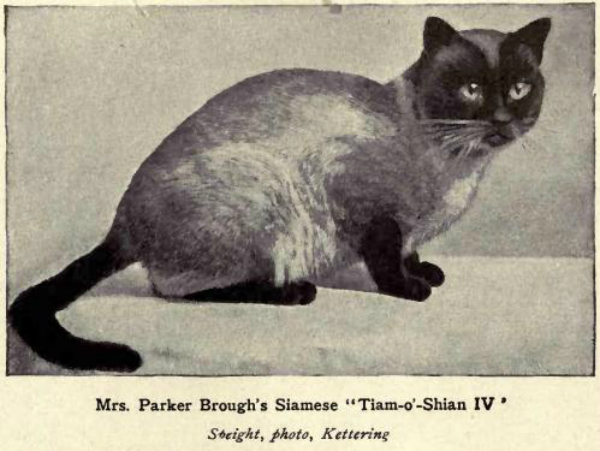 Siam, the first Siamese on American soil, was a gift to President Rutherford B. Hayes from the U.S. Consul in Bangkok. In the 1950s and 1960s, cat show judges began favoring a longer and leaner look for the breed, and by the 1980s, more traditional-looking "applehead" Siamese were no longer even seen in the show rings. 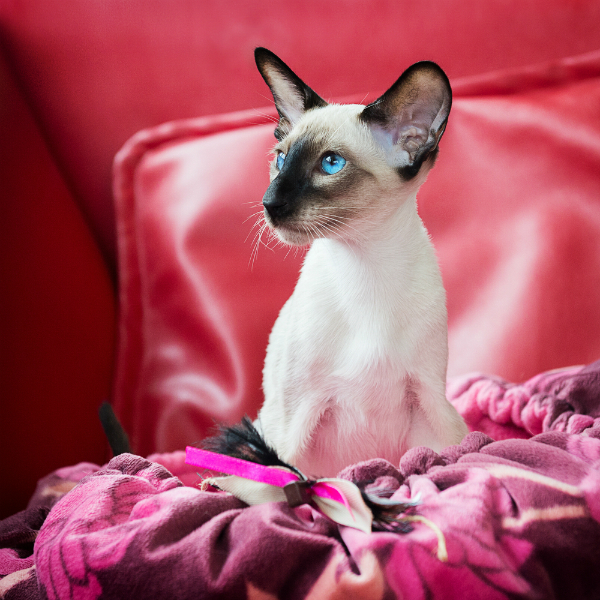 Some breeders persevered in breeding the more moderate-style Siamese, and now The International Cat Association recognizes it as its own breed, the Thai cat. Everything about the Siamese is long and lean, from its tubular body to its long, fine-boned legs to its thin, tapered tail. The Siamese cat’s head is an absolutely straight wedge with very large ears and deep blue eyes. Siamese come in a variety of color "points," but the most common is the seal point, a cream-colored body with dark-brown legs, tail, ears and face. The chocolate point is a little bit lighter in color, with a warmer brown hue on the legs, tail, ears and face. The blue point is the dilute version of the seal point, and the lilac point is the dilute version of the chocolate point. 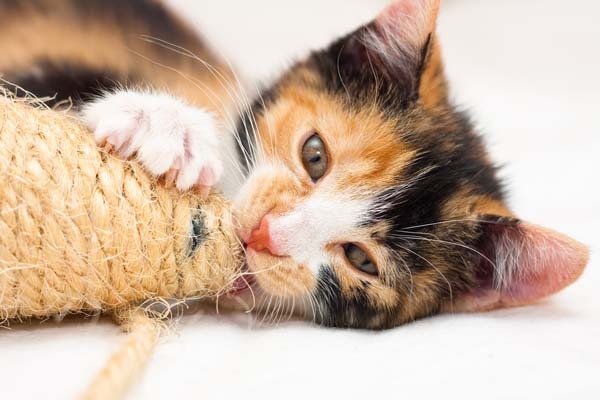 Although the Cat Fanciers’ Association only accepts seal, chocolate, blue and lilac point colors for championship, numerous other point colors have been bred, from flame points to lynx (tabby) point to smoke point and much more. The Thai cat comes in the same variety of point colors but has a much more moderate body conformation than the Siamese. Siamese are known to be among the longest-lived of any breeds. One of my best friends had a pair of Siamese cats that lived to be 18 and 19 years old. 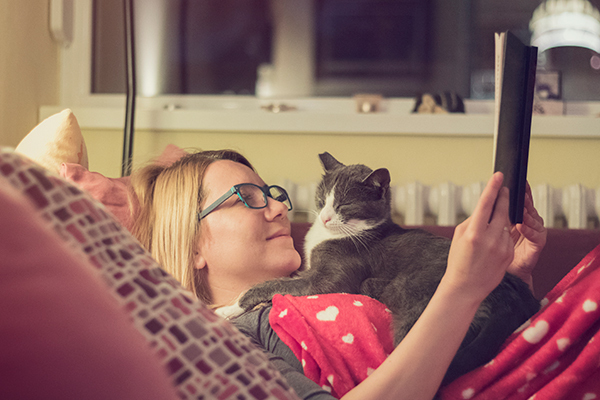 If you’re going to bring a Siamese into your home, know that it’s going to be a very long-term commitment. That said, Siamese cats do tend to be unusually prone to cancer, most commonly lymphoma, mast cell tumors and mammary tumors. They can also be prone to amyloidosis, a disease causing proteins to be deposited in places like the liver and kidneys, and progressive retinal atrophy. Your Siamese is an extremely outgoing and people-loving creature. She’s ridiculously smart and can entertain herself for hours as long as she’s got enough toys in the house and maybe a kitty friend to play with. Siamese are known for getting along well with children and dogs and make great family pets. They can be taught to play "fetch," and would most likely benefit from clicker training or agility training, so they can use their brains and entertain the masses. Siamese cats are also notorious heat seekers: if you want an under-blanket cuddle buddy, your Siamese will be right there, and they enjoy sun bathing and snuggling with other cats. You’d better enjoy talkative cats if you bring a Siamese into your life, because she can and will tell you the entire story of her life as soon as she lays eyes on you. Her voice also has a very distinctive tone, which can be grating if you’re not used to it or if your Siamese goes into heat. 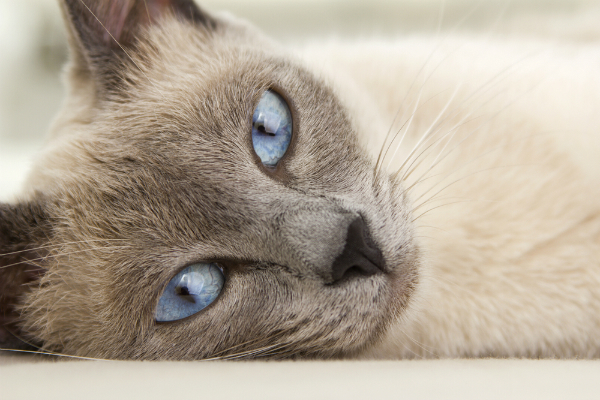 In its native land, the Siamese is referred to as wichian-maat, which translates roughly to "moon diamond." The Siamese’s look was so unfamiliar to Europeans that one of the first people to see it at a cat show described it as "an unnatural nightmare of a cat." 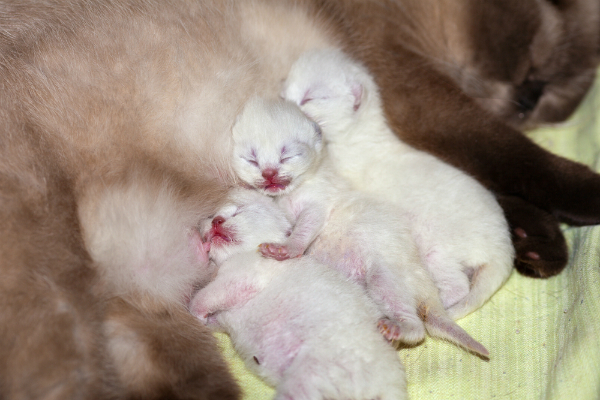 Siamese kittens are born white and don’t start developing their point colors until about 4 weeks of age. 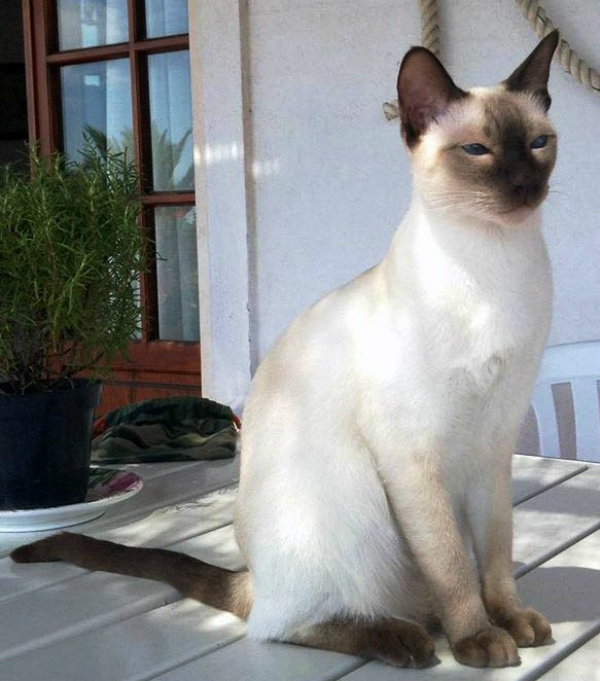 The Siamese contributed to the appearance and confirmation of many breeds including the Balinese (a long-haired Siamese), Havana Brown, Tonkinese, Burmese, Himalayan, Snowshoe, and even the Savannah and the Ocicat. Do you have a Siamese cat or a Thai cat? What is it like to live with him or her? Please share your thoughts and Siamese or Thai photos in the comments.